Bathroom could be one of the main decorations of the house. 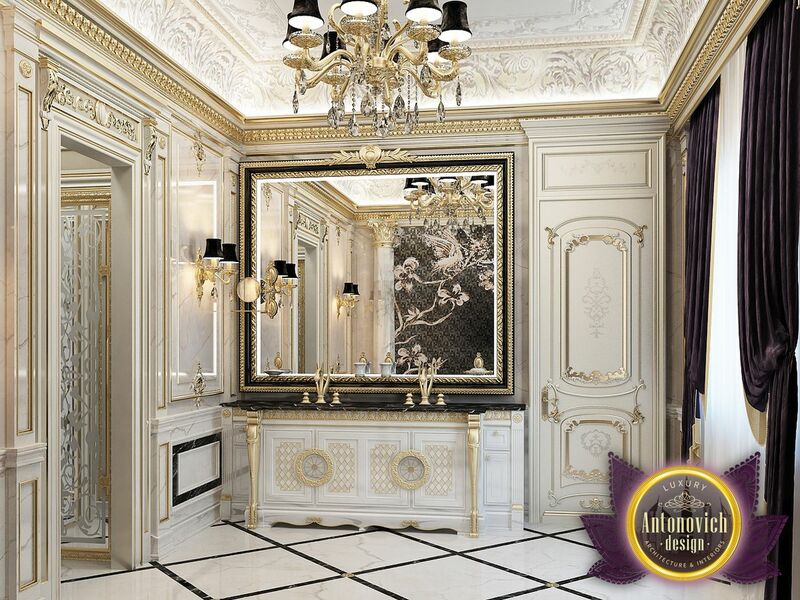 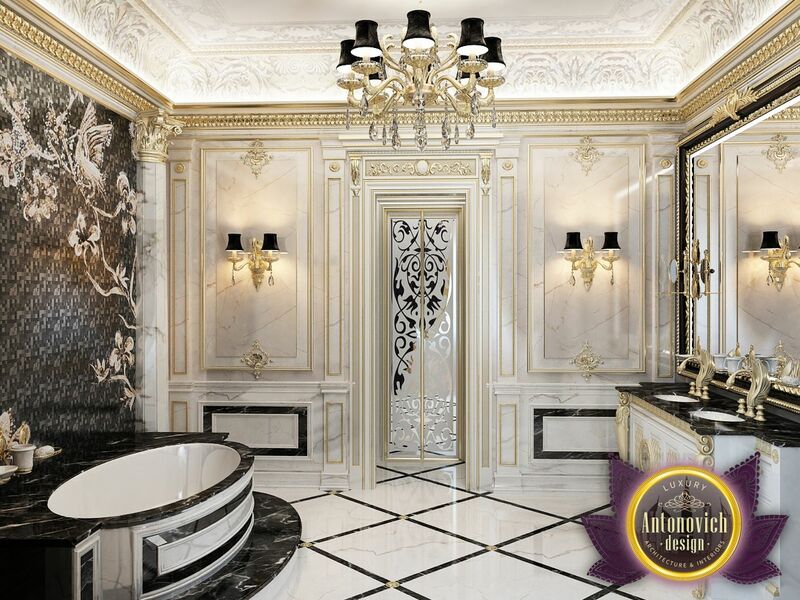 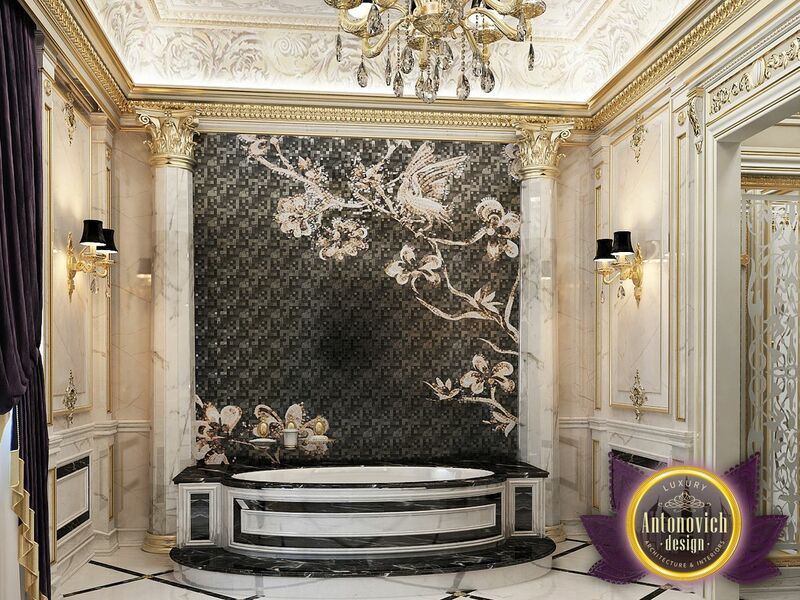 This variant of bathroom design in the classical style of Luxury Antonovich Design impressive with its image. 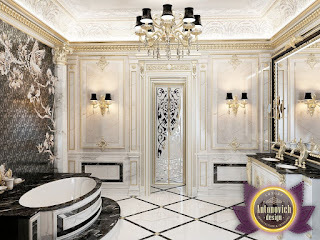 The main material of decoration of floors and walls - is a white marble. On the marble surface of a light background is very bright stand out the dark velvet curtains and a mosaic with gold flowers on black background. 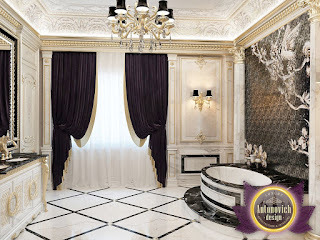 In The decoration of the ceiling, in accordance with the best traditions of classical style applied stucco. 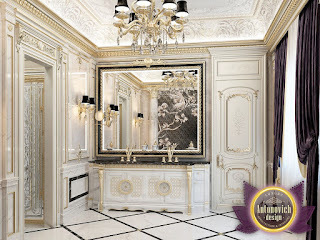 And complements the image of an elite interior moldings and carved decoration with gold.